Most of us already know about the benefits of vitamin D; that vitamin D is essential for the maintenance of good health, growth and healthy bones. However, studies suggest that the majority of people still fail to recognise the signs and symptoms of vitamin D deficiency, and do not yet appreciate the significant health benefits we can enjoy when we maintain a healthy level of vitamin D In the body. Research shows that Vitamin D deficiency can be linked to breast cancer, colon cancer, prostate cancer, heart disease and many more serious conditions. 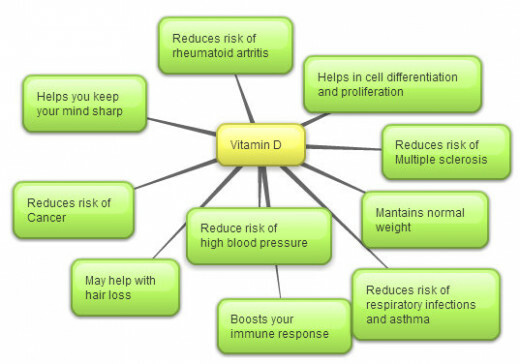 As we endeavor to take more vitamin C and E are we overlooking the importance of vitamin D, and are we getting enough? We all live busy lives, when we get some well needed down time, many of us tend to remain indoors, we want to relax, be entertained, surrendering to the box is very tempting. In the UK; chances are, it will be raining, wet and dreary with no real enticement to go out to play. With less exposure to sunlight, we are just not getting sufficient vitamin D.
On the 29 of October 2012, UK launched its first National Vitamin D Awareness Week, this was done in an attempt to raise awareness and to better understand the dangers of vitamin D deficiency. A survey performed by the health pioneering and forward-thinking group, 'BetterYou' found that a large number of the UK population, a massive 9 out of 10 people could be suffering from vitamin D deficiency. Other surveys of UK adults, found that 77 % spent much of their days indoors. Of the UK adults surveyed, two-thirds were deficient in vitamin D, a shocking 71% were diagnosed as 'severely deficient', and took no vitamin D supplements. Betteryou previously tested over 250 people in the UK for blood serum levels of vitamin D; they found not a single person with a healthy level of vitamin D.
Gone are the days when children played happily outdoors, most of their free time is now spent on computers, or watching TV; children in the twenty-first century are exposed to less sunlight than did their predecessors, this is believed to be having a significant impact on their health. 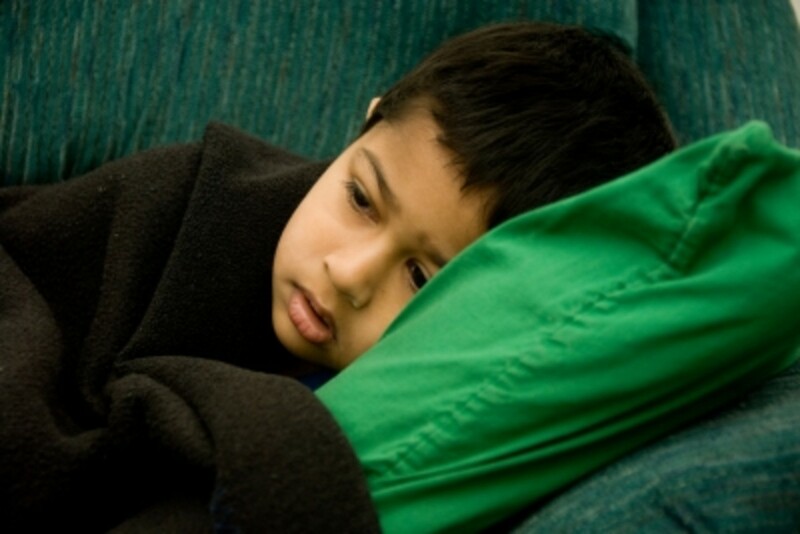 Information collected by the National Health and Nutrition Examination Survey (NHANES) in the US, found that 9%; a shocking 7.6 million children across the US were vitamin D deficient. Since 90% of the body's vitamin D comes directly from exposure to the sun, and as little as 10% of our diet, many of us in the Northern hemisphere, are clearly at risk of vitamin D deficiency. Vitamin D, affectionally known as the sunshine vitamin is a steroid vitamin, from the fat-soluble vitamin group, most of which are synthesized by the body from cholesterol when the skin is exposed to the UV rays of the sun. The rest we get from our diet. When insufficient vitamin D is present in the body, the result can be deficiency disease. Vitamin D is unique; it is not like most vitamins. Our body turns vitamin D into a hormone sometimes called, “activated vitamin D” or calcitriol. As a result of sunlight on the skin, vitamin D is produced and sent to the liver where it is changed into a substance known as 25(OH)D.
When medical tests are performed to ascertain the levels of vitamin D, the results refer to the serum or blood concentration of 25(OH)D and not the amount of vitamin stored in the body tissue. 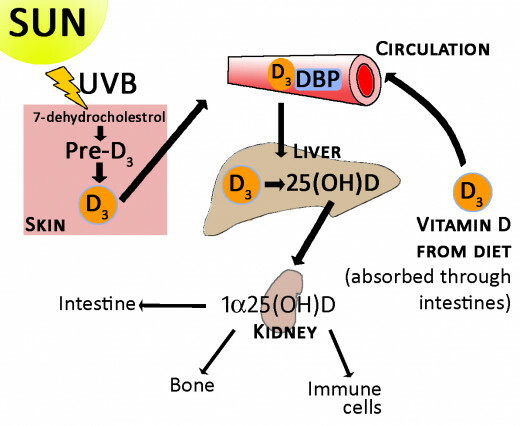 Vitamin D enhances the intestinal absorption and metabolism of calcium and phosphorus in humans. It enables healthy bone growth, and is important in maintaining healthy teeth and muscles; it prevents rickets in children and Osteomalacia in adults. When taken with calcium, Vitamin D may also help to protect older people from osteoporosis. Lack of vitamin D can cause bones to become brittle, thin or misshapen. Scientists are still trying to understand fully how vitamin D works within the body, and how it affects our overall health. With a wealth of new information coming to light, it is believed that people who are exposed to a reasonable amount of sunlight throughout the year, are receiving sufficient vitamin D, and do not require supplements. However, most of us are not exposed to enough sunlight and are not getting the necessary amount of vitamin D for a healthy body. 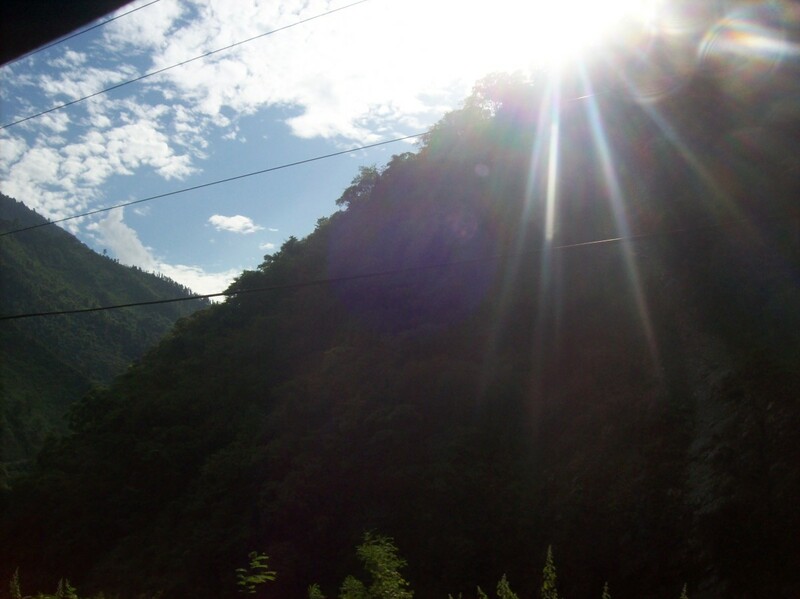 Many of us remain confused about the information we receive in regards to the amount of sunlight to which we can safely expose our bodies, before suffering adverse health consequences. On one hand, we are told we need a certain amount of UV sunlight to maintain a healthy level of vitamin D, but we're also told to reduce our exposure to the damaging effects of the sun. So we slap on the sun block, cover up and wear large hats In the summer time, but now, we are told to go out and get some sun while it lasts. So how much sun is enough, and how much is too much? The time of the year, even the time of the day will influence the level of UV to which we expose our bodies. Located, people who live in the Northern Hemisphere are exposed to less sunlight. The further from the equator we live, the less vitamin D the body can make during the winter months. Our skin type and colour, this depends on how dark the skin is, and how easily we get sun-burnt. Melanin is a substance that affects the colour of the skin, the more melanin the skin contains, the darker the skin. Melanin protects against skin damage from too much exposure to sunlight. The amount of melanin in the skin affects the amount of vitamin D we produce. Our daily activities, people who spend more time outdoors, will make more vitamin D. Short daily periods of sun exposure without sunscreen during the summer months are sufficient for most people to make vitamin D. Studies suggest that the most efficient time of day to produce vitamin D is between 11 am and 3 pm. A short period of 10 to 15 minutes will suffice, for most people. Circumstances, for those who can afford to, holidays in a warmer climate can be a good way to top-up on vitamin D during the winter months. The larger the area of skin exposed to sunlight, the higher the chances of making enough vitamin D before causing burns and skin damage. People with darker skin will need to spend longer in the sun to produce the same amount of vitamin D as those with lighter skin. In the UK, the skin is not able to make vitamin D from winter sunlight between the months of November to March. During the wintry months, there is not sufficient UVB radiation, our Vitamin D comes from what is stored in the body and our food sources. There are groups of people with intestinal vitamin D malabsorption that may be due to conditions such as Crohn's, Cystic Fibrosis, Kidneys and Liver disease, IBS, bowel resection and gastric bypass surgery. Since vitamin D supplements is not an option for maintaining healthy levels in these cases, UVB phototherapy devices may be useful where the test shows a deficiency in vitamin D.
The debates seem set to run, on the subject of how much Vitamin D we require to maintain good health. As of 2010, the Independent Institute of Medicine recommended that people between the ages of 1-70 should get 600 IUs (International Units) of the vitamin daily, for those 71 years and older, 800 IU daily, for pregnant and lactating women 600 IU daily. New research suggests adults may need between 1000 - 2000 IU of vitamin D per day to maintain health. However, the recommendation also states that serum 25(OH)D levels of 20 ng/ml are adequate and levels > 50 ng/ml could have a potential adverse effect. Watch videos (3) for more information on optimum and recommended doses Of Vitamin D.
The simplest way to diagnose vitamin D deficiency is by blood serum test. The blood serum test can be provided by doctors, or by purchasing a home test kit. Sunshine, as mentioned above, 90% of our vitamin D comes from exposure to sunlight, It is believed that our bodies produce the most vitamin D in the month of June, when the sun is highest in the Northern Hemisphere. However; according to a new study, vitamin D levels in the US peaks in August and bottom out in February. People who believe that they may be deficient in vitamin D should get tested; the best time would be in the month of February when levels are at its lowest. According to John Cannell, executive director of the 'not for profit' Vitamin D Council, in an article for USA Today, “research shows that some American's vitamin D levels are not adequate in the winter. If they don't supplement, they are going to be deficient” however Cannell apparently, was not involved in the study. 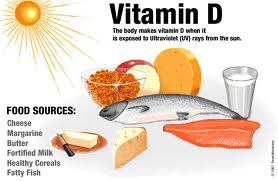 The source of the remaining 10% Vitamin D, we get from our diet, but very few foods in nature contain vitamin D, best sources are cod liver Oil and fatty fish, such as salmon, tuna, mackerel, herring, sardines and pilchards. There are mall amounts of vitamin D in beef liver, cheese and egg yolks. Fortified foods such as milk, margarine, yogurt, some brands of fruit juices and some breakfast cereals, provides much of the Vitamin D in the diet of industrialized countries, like the US, and Canada. UK milk and dairy products contain little or no vitamin D, only baby formula and margarine are fortified with vitamin D supplements. 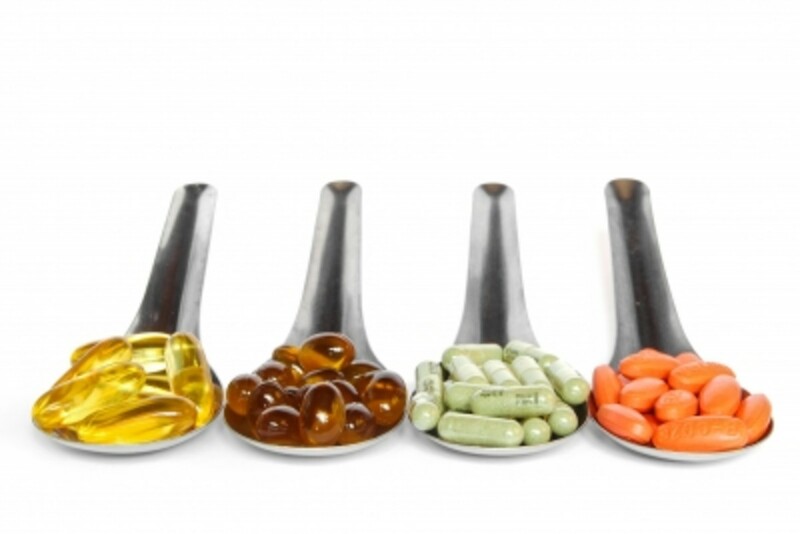 Who Needs to Take Vitamin D Supplements? A mild vitamin D deficiency may not cause major symptoms, but it may cause tiredness and generalized aches and pain. Severe deficiency can lead to osteomalacia (softening of the bone) in adults and rickets in children; there are also links to other conditions such as cancer, asthma, type ll diabetes, high blood pressure, depression, Alzheimer's, autoimmune diseases like multiple sclerosis, Crohn's and Type1 diabetes. In conclusion, Vitamin D deficiency has been linked to many serious conditions. However, this does not mean that everyone with vitamin D deficiency will get these conditions. People who suspect that they may be Vit D deficient should get as much information as possible from doctors or health care providers. Request a serum test to ascertain the baseline vitamin D levels, the best time to do this is believed to be February to March when levels are at the lowest. 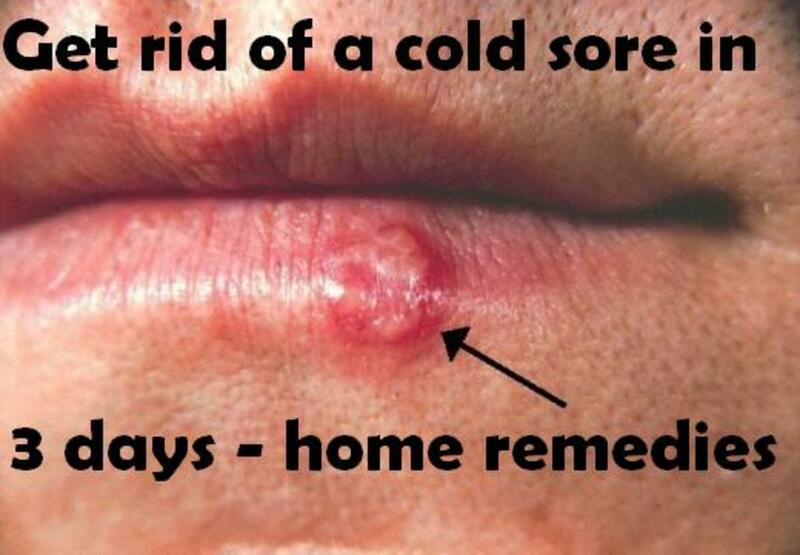 Always remember to do as much research as possible, be aware of contraindications. Hi craftytotheCore, It sounds like you are having a rough time health wise, you seem to be taking the right dose of vitamin D, but you have a double whammy with the partial thyroidectomy and the gallbladder removal. You should still have your parathyroids, so the problem may be malabsorption of the fat soluble vitamin D. You should let you doctor know that you are really concern about this. They should be able to advise you on what digestive enzymes supplements are best to take if the liver is a bit sluggish. Check out some natural remedies also, like dandelion leaves and limes and lemons to help improve the liver to function. I hope the doctor will be able to help you. Take care and my best to you. Thank you so much for sharing this wealth of knowledge. I have just been tested and told that I have a Vit D Def. I had 1/2 my thyroid out 2 years ago. This year I had my gallbladder out. I've been taking 5000 D3 and 600 D daily, and to no avail. I also walk outside every day in the sun. I'm really worried. Ologsinquito, lovely to see you! Thanks for the visit and interesting comment. Much appreciated and my best to you. Hi Jaye, You said it just right! There are many people who are unable to tolerate much sunshine and are not getting sufficient Vit D. They are displaying the symptoms, but are not aware of the real reason for it. Thank you so much for the visit and very insightful comment, much appreciated and my best to you. Hello Carolyn, thank you for stopping by and for the insightful comment. 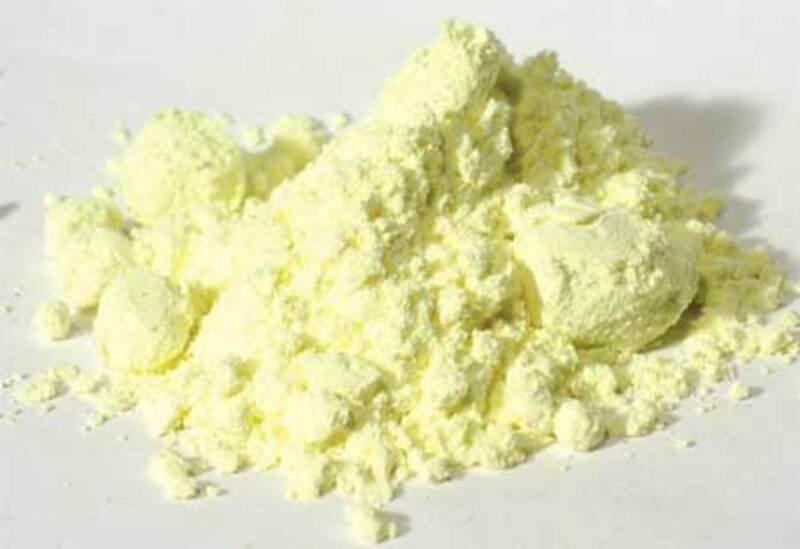 There are many people out there who are deficient in Vit. D but are unaware of it, you seem to be well informed about you condition. Take care and my very best to you. Hi Flourish, thank you so much for reading this, I'm glad you've found it useful. With the long winter months approaching it will soon be time again to get our levels checked. I hope you are in good health, my best to you. Very helpful Hub! I have to take a D supplement since I don't get enough sun and wear sunscreen if I'm outside. Voted up & useful. 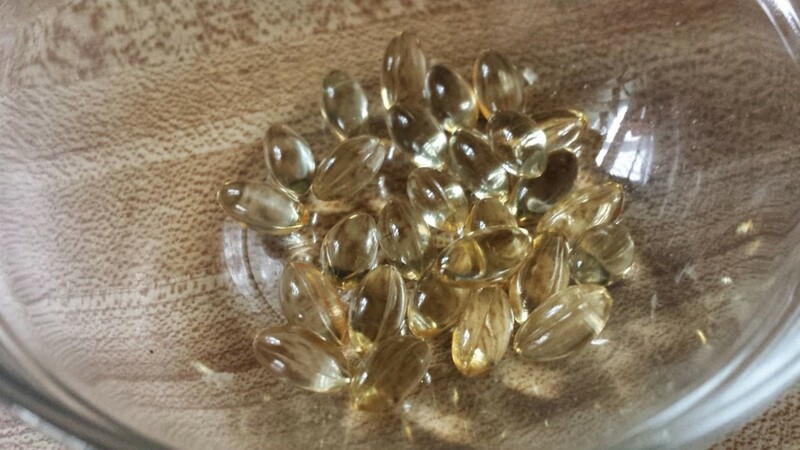 This is a very important hub because many people don't realize they are deficient in Vitamin D. I've been taking a 1,000 IU supplement of Vitamin D. daily for the past couple of years. My skin cannot take much sunlight, and I've already had one skin cancer removed. The surgeon said they tend to reoccur, so I'd rather get my D via a capsule than take a chance on more skin cancer. This is a great informative hub. Thank you for pointing out the connection between insufficient Vitamin D and the increased risk of cancer. It's also important that cancer patients get enough of this vitamin by spending some time outdoors. Excellent hub bringing awareness to an important topic. As I have MS and also have chronic vitamin D deficiency, I am very aware of the need for natural sunlight and the link between low vitamin D levels and disease. Thank you for raising awareness. Voted up and more, plus sharing. Kim, many thanks for the visit, great comment and share, always appreciated, my best to you. Simply another one hit out over the park. Great information told in a user-friendly way regarding very important information. Vote Up/Share. Jackie, glad you found this useful...they do say knowledge is power... the more we can learn about our health the more we can do to maintain it...and I do enjoy learning something new. Thanks for checking this out, it means a lot. My best..
Wow, out of 250 people no normal levels, that says a lot! You do such thorough work I notice and I see you have cut no corners on this writing either. This is a collectible to refer back to. Thank you. Hi Nell, we can all do with a little extra sunshine, the last few day has been absolutely wonderful, but come Feb/March we'll need to get tested. Thank you so much for taking a look, much appreciated and my best to you. Hi Devika, thank you for stopping by, I'm so glad you found this useful. Yes, vitamin D is crucial to our body, and most of the time it is also free. :) Have a wonderful day, my best to you. Vitamin D is crucial to our bodies and we must have the right amount you have done a superb job on this topic. I learned much more here and so glad to have stopped by. A well researched hub with many facts to know about. Voted up, interesting and useful! Hi Lurana, always a pleasure to see you!.... Vitamin D is proving to be a very important nutrient. There are still much to learn, but the research is encouraging. I was working last night, so I'm off to the garden to top up on some vitamin D. Take care and my best to you. Hi Faith, such a pleasure to have you stop by!...thank you for the wonderful comment and the share. I'm sorry to hear about the breast cancer, you didn't say how long ago, I do hope you're currently in good health. Keep taking the vit D, research shows a link between Vit D and breast cancer. Vitamin D is believed to be able to block the growth of breast cancer tumors, it provide numerous benefits against cancer. Take care and my very best to you. Superb hub here to bring awareness! I do know about the importance of taking Vitamin D as relates to breast cancer, since I had breast cancer. I was shocked to learn that all women who developed breast cancer had a Vitamin D deficiency!!! I am sure to take my Vitamin D without a doubt. This is such a very informative and interesting hub. Very well written. You're the best! I do love the sun too, but cannot stay out in it like when I did in my 20s. Really stayed too long then. Glorious image up front there. I pray this is spread around the world and back. Hi Joelle, so very nice to see you!...Look like you have a good sensible doctor. More people should start requesting these tests when they suspect that they are not getting sufficient vit D. Thank you for taking a look, much appreciated and my best to you. Hi Frank, I'm so glad you found this useful, thank you for stopping by, always appreciated and I hope all is well with you. Great information Jo! You have a gifts to present scientific and health related topics! Thank you! My doctor test me on a yearly base to see if I have enough vitamins D; I am thankful for that because it's so important! Hello ChitrangadaSharan, a pleasure to see you!....I'm so glad you found this useful.....thank you for taking the time, for the great comment and for the share, it is much appreciated. Take care and my best to you. Hi lavender Jade, very nice to see you, so glad you found this interesting. Thank you for taking the time, it is very much appreciated and my best to you. Hi Pamela, I'm so sorry to learn about the Lupus condition!...glad to hear that you have been tested and is now taking vit d supplements. I've read somewhere that in Australia, they believe vit d may be significant in treating Lupus, they are doing new research to understand more. Apparently; with some auto-immune conditions, like Lupus, there seem to be an improvement when vit d is taken, and the opposite when the level is low. Thank you so much for stopping by and for the insightful comment, much appreciated. I was hoping a few brave readers would stop by with some personal input. Thank you very much and my very best as always. I am not even supposed to be in the sun due to lupus and I was tested for vitamin D. It was very low, so I have been taking it for about the last 3 years. Your article was very well researched and contained a wealth of information. If anyone doubted the importance of vitamin D, I imagine they changed their mind now. Voted up, useful, interesting! Very informative, educative and well written hub! I am sure the information is useful for everyone and lot of people will be benefitted by the detailed information you have provided. Thanks for sharing! Voted up and shared! Hi Rose, lovely to see you!...getting just the right amount of sun is a bit of a balancing act, there are so many variables. However, there's always supplements and many foods are fortified in the US and especially Canada, so you should be ok. Canada is doing a great job promoting vitamin D.
Hi Kashmir, thank you for checking it out, much appreciated. Take care and my best to you as always. 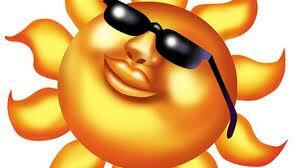 Hi my friend great informative article on vitamin D and all it's benefits . Well done ! Hi Love Doc, thank you for taking a look...you are one of lucky few, you have vitamin D on tap; now I know why those Californian look so darn good. :). Your problem is more how to avoid getting too much sun. Lovely to see you, my best as always. Useful and informative, good visuals. Living in the sunshine state, it's hard not to burn or tan especially during the summer months. 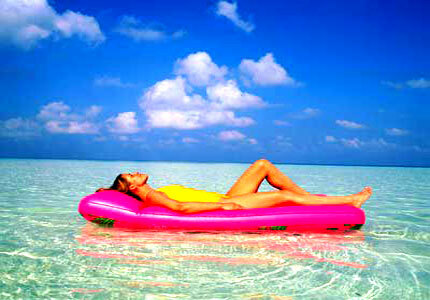 For those who are vitamin D deficient, some sun is beneficial. We get sunny days mostly throughout the year with the exception of June and a couple of rainy days in July. Luckily, this year it didn't rain on the 4th and we were able to watch the fireworks at the beach. That was me lying on a raft in South Beach several years ago, but I stopped doing that especially during the hours of 11 and 3 pm which is when the ultraviolet rays are the strongest. Voted up awesome & useful. Bill, in that case, I hope you are getting enough. Vitamin D supplements of course :). Great information, Jo, but I would expect nothing less from you.